The Australian Trucking Association (ATA) has announced the candidates for the owner-driver and small fleet operator positions for the upcoming 2019 ATA elections. Returning officer Phil Potterton announced the names of the candidates on February 4 after nominations were closed on February 1. The candidates for the owner-driver representative position, in alphabetical order by surname, are: John Beer, Romsey, Vic; Frank Black (Arcidiaco), Albert Park, SA; Luke McCrone, Ascot Vale, Vic; and Tim Montague, Banjup, WA. There are two candidates vying to be the small fleet operator representative on the ATA Council – Lynley Miners, Adaminaby NSW; and Angela Welsh, Blaxland East, NSW. John Beer is currently the sitting member in the position of ATA owner-driver representative. An Owner//Driver columnist, Beer is a livestock transporter and is a member of the Livestock and Rural Transporters Association of Victoria (LRTAV). He’s also the current vice president of the LRTAV and also the Australian Livestock and Rural Transporters Association (ALRTA). Frank Black, who was the owner-driver representative two years ago, has been an owner-driver for 30 years. Black won the inaugural Transport Workers Union (TWU) National Council Award for his work on behalf of truck drivers in 2012. 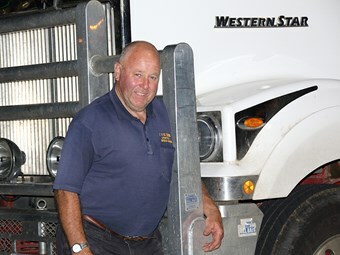 Luke McCrone, a tip truck owner-driver from Victoria has worked in the transport industry for more than 10 years, running his own truck for the past 18 months. McCrone made an unsuccessful challenge against John Berger, the TWU Victoria/Tasmania branch state secretary late last year. Meanwhile, Tim Montague will by flying the flag for Western Australia. He believes road transport needs reform in a bid to attract younger people to the industry. He also believes truck driving needs to be recognised as a profession and a trade. In the small fleet operator category, Lynley Miners, president of the LBRCA, will be running for his second term in that position, while Angela Walsh is the director of a small interstate transport company. Ballot papers will be issued to registered voters on Thursday 7 February 2019. The polls will close on February 28 and the results will be announced on March 8. To register to vote in the ATA elections, voters must own, be purchasing or leasing one to five trucks over 4.5 tonnes, including as a director of a company, a shareholder of a company, a trustee of a trust or a beneficiary of a trust. Voters will also need to provide a valid ABN and an email address that is not used by any other person seeking to register to vote. There is no necessity to be in an ATA member association to vote, and voters can choose to vote for either one or both representative positions.